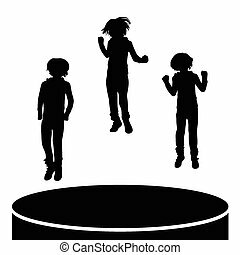 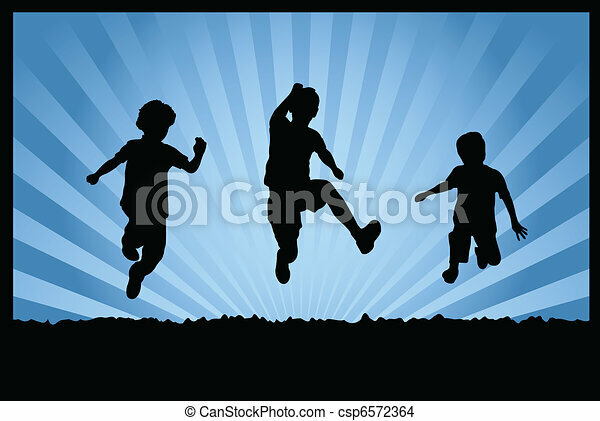 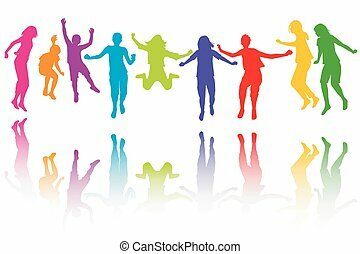 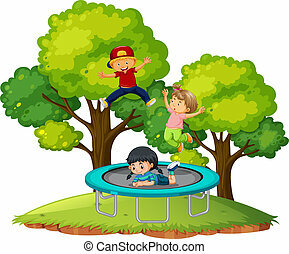 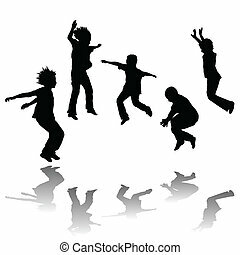 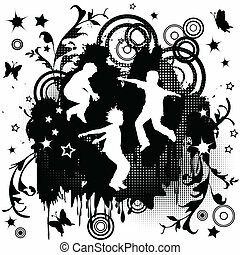 Silhouettes of children jumping on abstract background - vector. 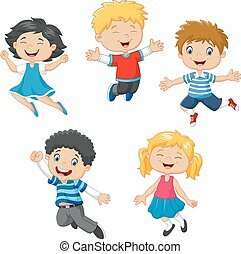 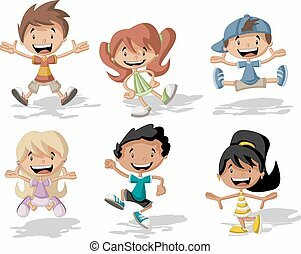 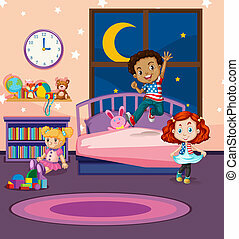 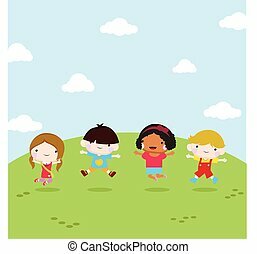 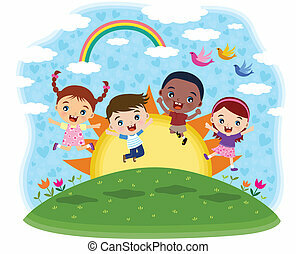 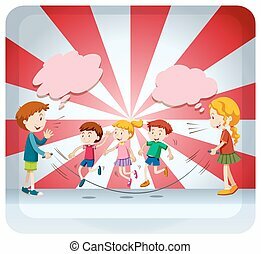 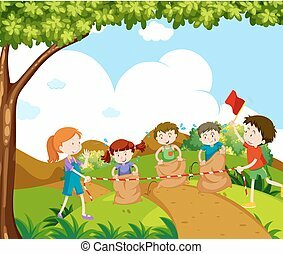 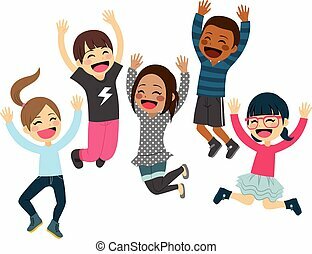 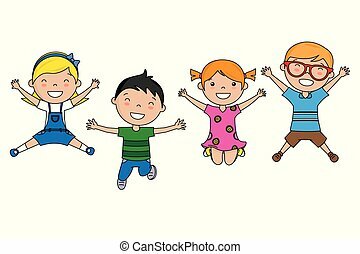 Happy cartoon children jumping in front of white board. 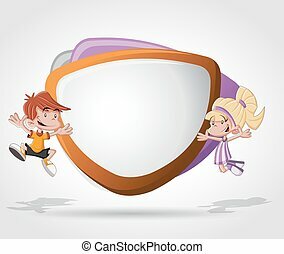 Presentation screen.